Yup, that’s me in City Arts Magazine for Goodwill! Thanks to my friend Joey at City Arts for thinking of me for this modeling gig! Did you know that Goodwill is a non-profit and proceeds from items sold in their stores benefit free job training and education for those in need? 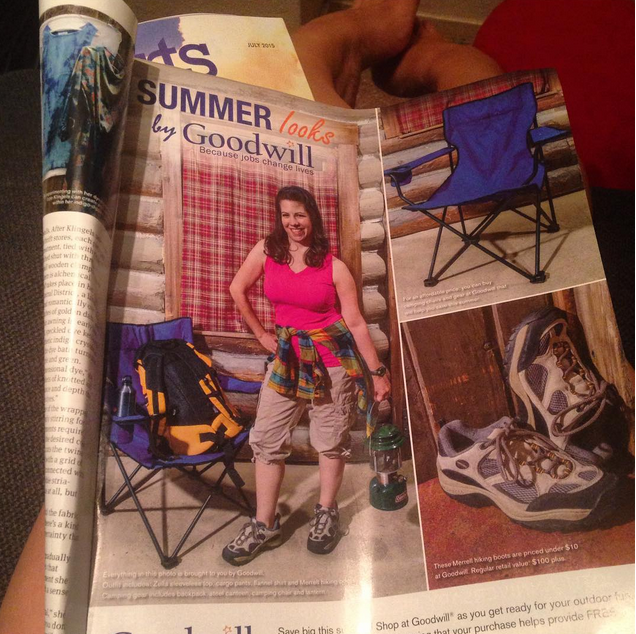 All the more reason to shop and donate to Goodwill over other (for-profit) used shops. Last year, Goodwill helped over 9,200 people! « Review: Hopelessly Devoted to Grease! At The 5th Avenue through August 2nd.